Jamie Vizsy will have plenty of reason to celebrate when she completes her Personal Support Worker (PSW) program this month. The 25-year-old Brantford woman developed a ‘can do’ attitude to go back to school to upgrade as she sought to make a better life for herself and her young daughter, 4-year-old Cherish-Lyn. Jamie has been selected as a 2018 Education Champion by the Education WORKS Alliance, after being nominated by Bridges to Success. Bridges to Success is a Grand Erie District School Board program that helps adults improve reading, writing, math and employment-related skills. It is affiliated with the board’s Grand Erie Learning Alternatives (GELA) school. Jamie finished high school years ago, but looking back she wasn’t proud of her marks or her attitude towards the classroom. Having her daughter changed her in many ways, including in her attitude to education. Jamie participated in the Bridges to Success family literacy program with her daughter, strengthening both literacy and healthy lifestyle skills. She was able to enhance her skills to the point needed to apply to be a student in GELA’s PSW program. “I’m back in school to pursue a career that I’ll love and will make a better future for myself and my child,” she says. That positive attitude has been needed to cope with the challenges going back to school as an adult, while raising a child, brings with it. The single parent has had to learn how to better manage her priorities to ensure she has enough time for her school work, a part-time job at a local café and with her daughter. Jamie has made sacrifices but believes it will be well worth it in the end. Jamie was finishing her PSW certificate program in February, with her official graduation slated for June. 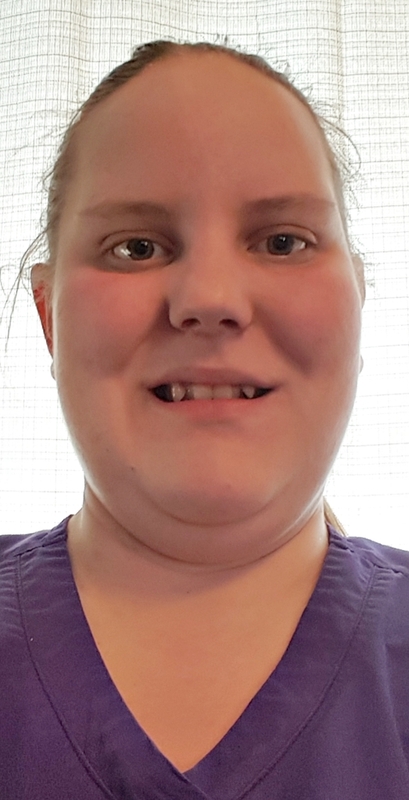 She hopes to land a job as a personal support worker helping others and then, after gaining valuable experience, see what’s next for her in the health-care field.